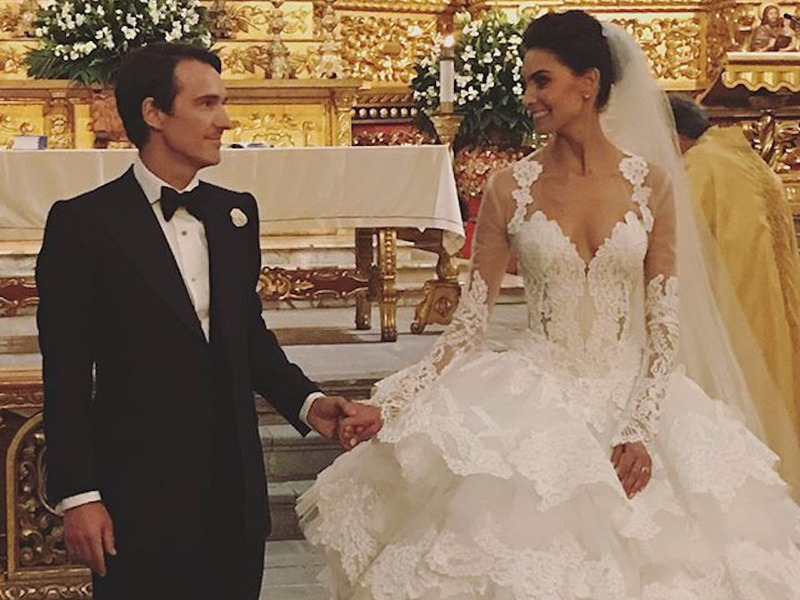 Art collector Nicolai Frahm and model Mariana Herrera recently tied the knot in the most over-the-top, three-day wedding celebration in Oaxaca, Mexico. Take a look at a sampling of photos from the couple’s incredibly glamorous celebration that neither they — nor their guests — will ever forget. Herrera and Frahm got married this Valentine’s Day, on February 14. Their wedding celebration lasted for three days in Oaxaca, Mexico. The festivities kicked off with a glamorous pre-wedding party, to which Herrera wore a gorgeous white minidress. At this party, guests surrounded a band for an evening performance by the pool.